Rats exact a punishing toll on island seabird colonies, decimating their numbers as they eat the birds&apos; eggs and young. Research has shown that fewer birds, and fewer bird droppings, mean that ecosystems on these islands don&apos;t have the same diversity and quantity of life. But until now, our understanding of the impact that rats have has stopped at the island&apos;s edge. 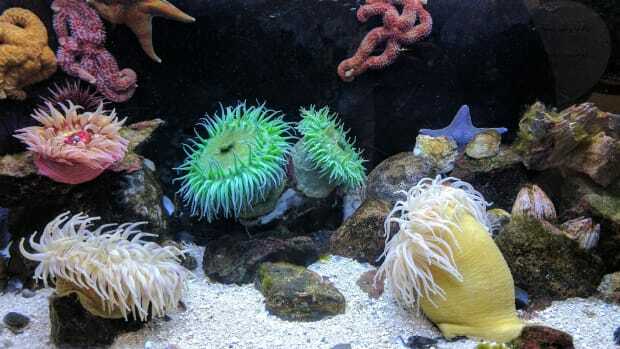 "What people haven&apos;t really captured is how that then affects adjacent marine ecosystems," said Nick Graham, a marine ecologist at Lancaster University in the United Kingdom. Graham is the lead author of a study published July 11th in the journal Nature, in which he and his colleagues demonstrate that coral reefs next to rat-infested islands aren&apos;t as healthy as reefs near rat-free islands. He presented the team&apos;s research on July 10th at the European Open Science Forum 2018 in Toulouse, France. "These rats are having a knock-on effect to the adjacent coral reef system," Graham said, "and that&apos;s never been shown before." Invasive species such as rats, goats, and pigs that humans have dropped off—intentionally or inadvertently—on islands around the world are linked to 86 percent of the extinctions of island animals, according to a 2016 study. 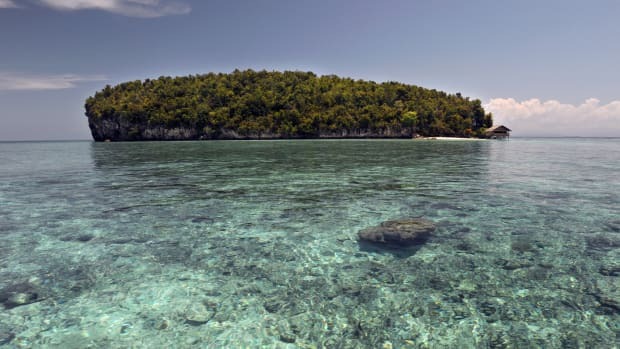 At the same time, the very existence of the coral reefs that ring many of these islands in the tropics is under threat from warming and increasingly acidic seas. Though climate change and a hotter ocean are complicated problems requiring complex solutions, Graham said this study demonstrated that a straightforward measure like getting rid of rats on islands was something conservationists could do right now. "This is a huge incentive to de-rat oceanic coral reef islands," he said. "It&apos;s low-hanging fruit." Graham and his colleagues set out to see whether they could find evidence of links between what was happening on the island with the health of the coral reefs nearby. Suspecting that the nutrients that birds were depositing in their guano might also be percolating into the ocean environment, the team chose a group of 12 islands in the Indian Ocean&apos;s Chagos Archipelago, six that have rats and six that do not. The difference between the islands with rats and those without was like "chalk and cheese," Graham said. On average, they found that rat-free islands had 760 times the density of seabirds compared to the rat-infested islands. From samples of the soil and the islands&apos; leafy plants, they found that nitrogen levels were 251 times higher for rat-free islands. The team also probed their samples for a specific form, or isotope, of nitrogen. Seabirds such as boobies, noddies, and shearwaters connect the islands to the open ocean, in some cases traveling hundreds of kilometers to feed on fish there, Graham said. On these journeys, the birds pick up a characteristic isotope of nitrogen with the fish they eat. 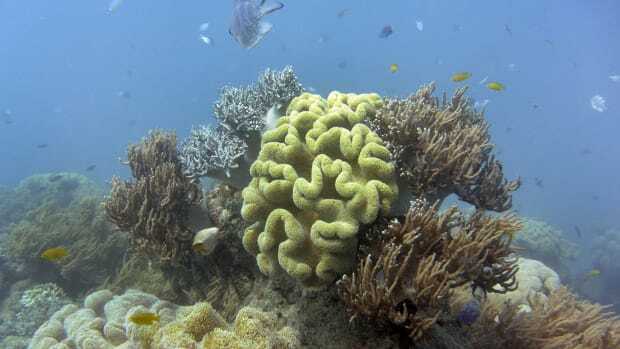 The researchers traced the nitrogen&apos;s path to the islands, finding the isotope in soils and plants, as well as in the algae, sponges, and fish living on the reef. "The seabirds are linking three different ecosystems," Graham said. The researchers then compared the size and growth rates of damselfish living off the coast by looking at the ear bones, or otoliths, of these fish. Otoliths grow in concentric rings, similar to the rings of a tree. That pattern allows scientists to determine the age of the fish and how fast they are growing. Graham and his colleagues found that damselfish grow faster and were larger for their age when they lived on reefs adjacent to islands with no rats and lots of seabirds. 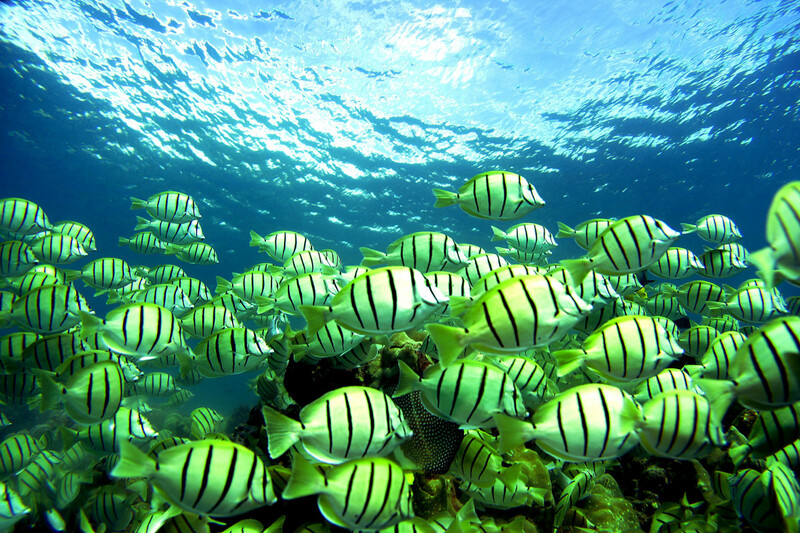 In fact, the biomass of the entire fish community was nearly 50 percent larger around the rat-free islands. "This is the first time that this nutrient subsidy"—in the form of nitrogen from seabird droppings—"has been shown to influence the growth rate in a vertebrate," Graham said. Herbivorous fish, in particular, did well in the productive environment found off the coast of bird-heavy islands. They service the reef by grazing to keep the algae under control and by breaking up bits of dead coral in a process known as bioerosion, allowing the reef to grow. The rates of these "critical ecosystem functions" were more than three times higher on reefs next to big seabird colonies. This study tells a "really complete story," said Anne Lorrain, a marine ecologist at the Institute of Research for Development in Marseille, France, who was not involved in the research. "It goes further [than] other available studies with a large number of organisms studied and [in] assessing functional aspects," such as fish biomass and bioerosion. In 2017, Lorrain published a study on coral reefs in the Pacific Ocean in the journal Scientific Reports. She and her colleagues found that nitrogen from bird guano made its way into nearby corals, also using a specific isotope. But whether that nitrogen always benefits corals remains to be seen, she said. "I think we need more research on the effect of seabird guano on marine organisms&apos; physiology and on different ecosystems," Lorrain said. In the current study, the input of nutrients from seabird guano made for a healthier, more robust ecosystem. But that&apos;s not always the case. Surges of human sewage and fertilizer runoff can swamp a reef with the algal growth that wastewater encourages. Graham said the nitrogen flowing from the seabirds on rat-free islands in the study was balanced by the phosphorous it contained. What&apos;s more, the presence of this element could even give the reefs a fighting chance in the face of climate change. Ecologist Don Croll of the University of California–Santa Cruz highlighted the importance of algae-eating fish in the ecosystem. If they had been overfished, for example, more algae could diminish coral growth, said Croll, who was not part of this study. "On the other hand, if you have an intact fish community, then it&apos;s just putting more biomass and creating a greater abundance and diversity of fish potentially in the system," he said. Graham said the islands in the study were "completely unfished." In 1994, Croll co-founded an organization called Island Conservation that now does island habitat restoration around the globe. He said this study demonstrated that getting rid of the human-introduced rats was "an exciting conservation opportunity." 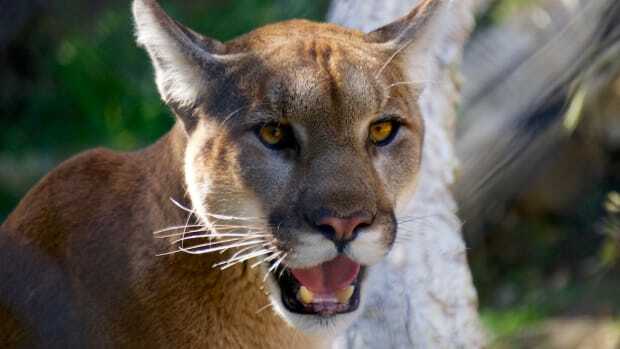 "The good news about rat eradication is that, unlike climate change and fisheries, it&apos;s a pretty simple problem to solve," he said. "We have the tools. We can do it." But even with this "simple" problem, it could take "decades and not years" to see results, Croll said. He pointed to the example of Clipperton Island, a French territory in the Pacific. In a 1958 visit to the island, an ornithologist named Ken Stager found it had been taken over by feral pigs, which, much like rats, had preyed on seabird eggs and whittled Clipperton&apos;s seabird population to around 1,000 individuals. "Like every good biologist back in the &apos;50s, he had a gun with him," Croll said. So he killed all 58 pigs on the island. The transformation was striking, if not immediate. Within a decade, seabird numbers were in the thousands. And in 2003, scientists reported the presence of 25,000 brown boobies and 112,000 masked boobies living on the island. The results of their survey demonstrates that, given enough time, bird colonies—and the nutrient-rich guano they bring with them—can come back. 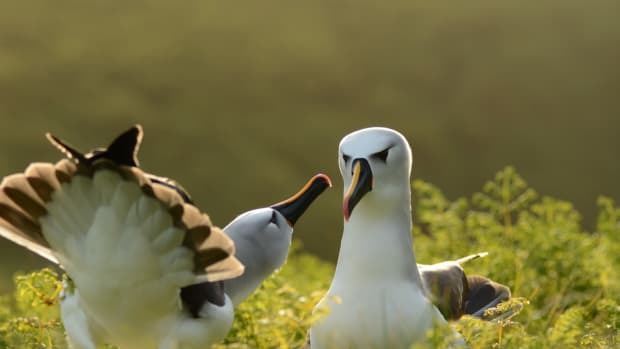 In the case of Clipperton Island, "it took 50 years," Croll said, "but it&apos;s now the world&apos;s second-largest brown booby colony and the world&apos;s largest masked booby colony." Could Dust Storms From Africa Be Damaging Ecosystems in the Florida Keys? It appears that dust blown off the Sahara desert may be initiating harmful bacteria growth in coral reefs across the Atlantic. The small South Pacific island nation has become a major supplier of Chinese-imported timber.